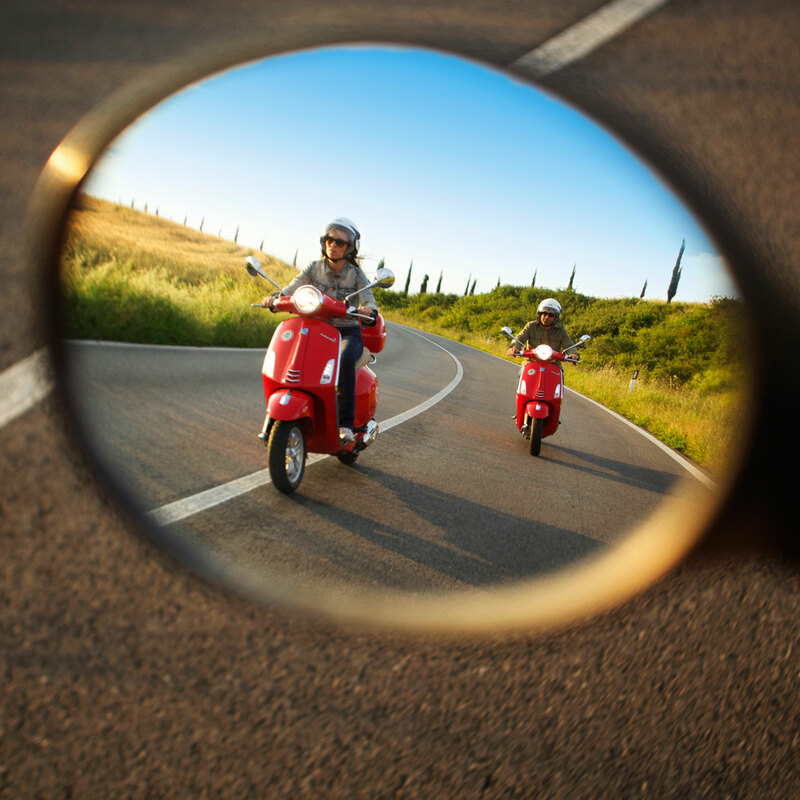 More than just two wheels, the Vespa is a symbol for many generations of scooter riders. 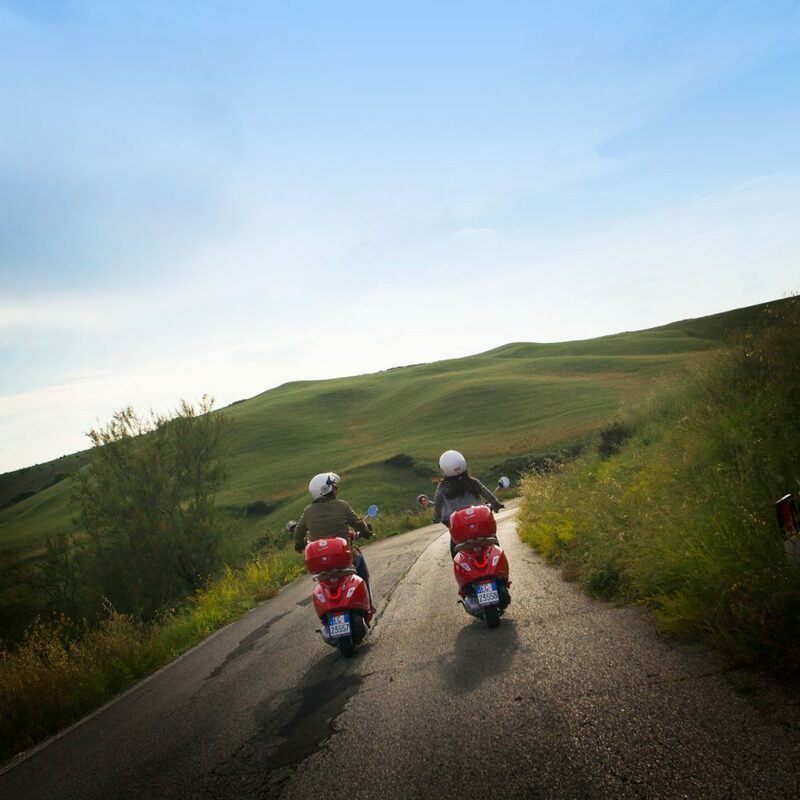 With Vespa, Piaggio gives us a means that once again, and re-evaluate, the strong personality of the past, with a clever mix of technology and innovation. Useful scooter, confortable, frugal, but with the added touch of elegance and sophistication you would expect riding Vespa. 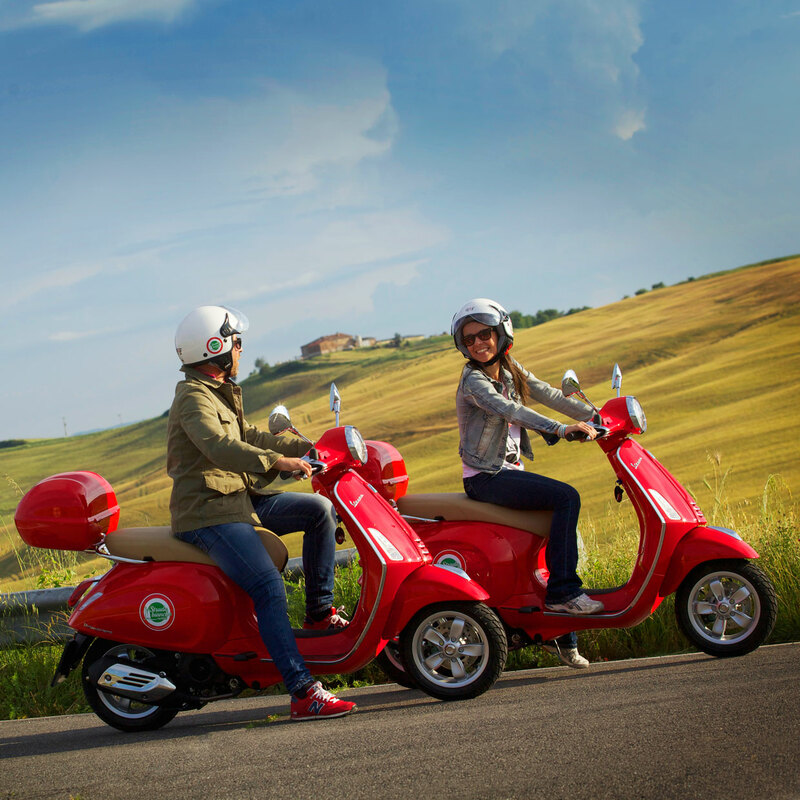 Unlimited mileage, scooter insurance, 22% VAT Tax, homologated helmets, and a replacement scooter in case of accident or breakdown. Fuel, Deliver/Return Service in places other than our offices, Fines for traffic violations and unpaid tolls, and anything not mentioned in rental contract. 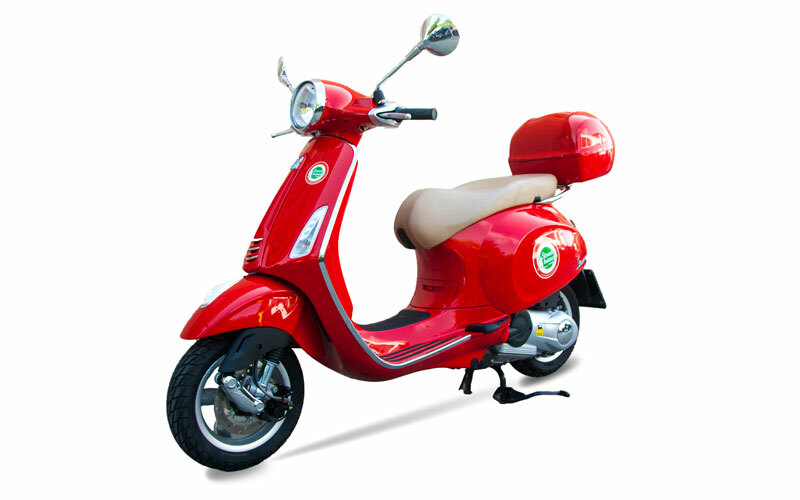 The rental period starts on the day and at the time the scooter is delivered and finishes on the day and at the time the scooter is returned at our offices. A rental day is a 24-hour time period. Suitable driving license, minimum age 18 (eighteen) years and warranty credit card.